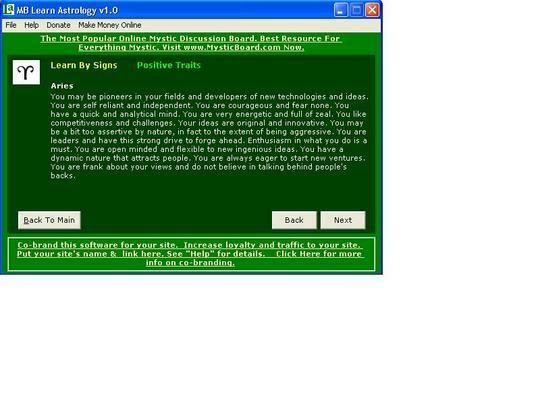 MB Learn Astrology is a learn-and-test yourself astrology software. This software is a simple and useful aid in the study of the signs, houses and planets. This can helps beginners learn and test their understanding of the subject. A study of the past reveals that astrology came into being with the advent of civilization. It was the result of combining the ancient practice of observing the night sky with a magical view.